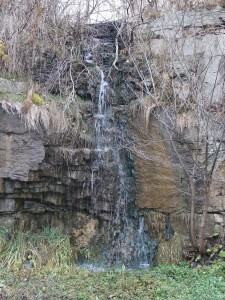 Springhill Falls is a horsetail ribbon cascade. 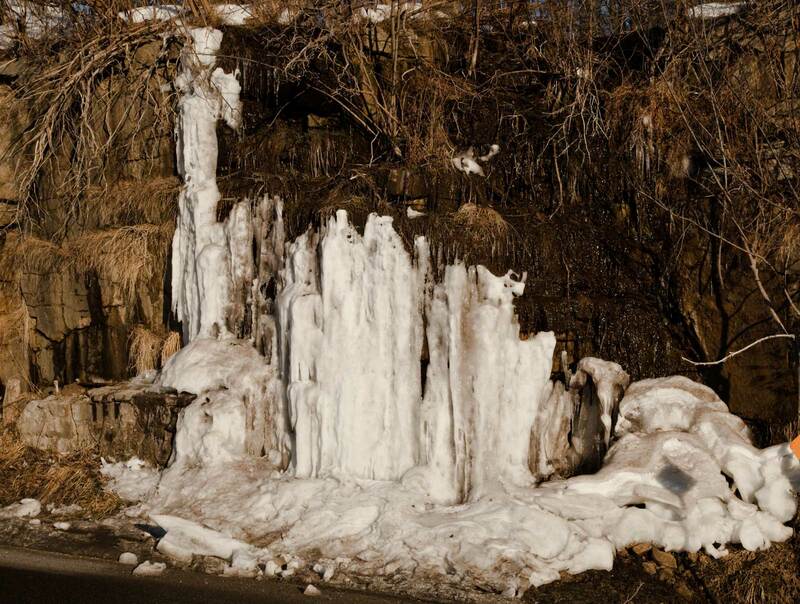 The water originates from surface runoff collecting into a swale or small depression on the Springhill property at the top of King St. (Hwy 8) in Greensville above Dundas and flowing over the Niagara Escarpment adjacent to the shoulder of Hwy 8. Its height is 5 metres (16 ft.) and its crest width is 1 metre (3 ft.). Springhill Falls was “discovered” in November 2006 by Elizabeth Berestecki (formerly of the Hamilton Conservation Authority) and Joe Hollick when they were out doing measurements and GPS locations on other waterfalls. The Fall can be seen when driving up Hwy 8 from Dundas near the top of the escarpment.